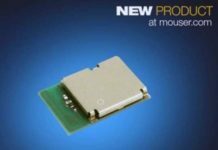 March 28, 2019 – Mouser Electronics, is now stocking the STEVAL-BCN002V1B BlueNRG sensor node development kit from STMicroelectronics. The fully equipped evaluation kit includes the BlueNRG-Tile multi-sensor board and STEVAL-BCN002V1D programming board for the development of Internet of Things (IoT) applications. 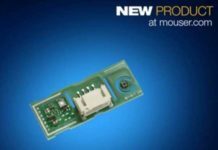 The ST STEVAL-BCN002V1B BlueNRG-Tile Kit, available from Mouser Electronics, is built around the BlueNRG-Tile, a coin-sized sensor node based on the BlueNRG-2 system-on-chip (SoC) with an Arm Cortex-M0 core. Supporting Bluetooth Low Energy 5.0 for remote monitoring and sensing applications, the ultra-low-power SoC is ideal for smart agriculture, supply chain management, smart home, and industrial applications. The versatile BlueNRG-Tile sensor board includes a comprehensive ultra-low-power sensor portfolio, including magnetometer, gyroscope, accelerometer, pressure, temperature and humidity, MEMS microphone, and time-of-flight (ToF) sensors. Additionally, MEMS sensor algorithms enable 9-axis sensor fusion and event detection. The STEVAL-BCN002V1D adapter board, powered via USB, allows engineers to program and debug the sensor board. The STEVAL-BCN002V1B kit includes a comprehensive software development kit (SDK) that includes ready-to-go examples and voice-over-BLE code. These comprehensive resources enable developers to design, debug, and prototype imaginative IoT applications straight out of the box. 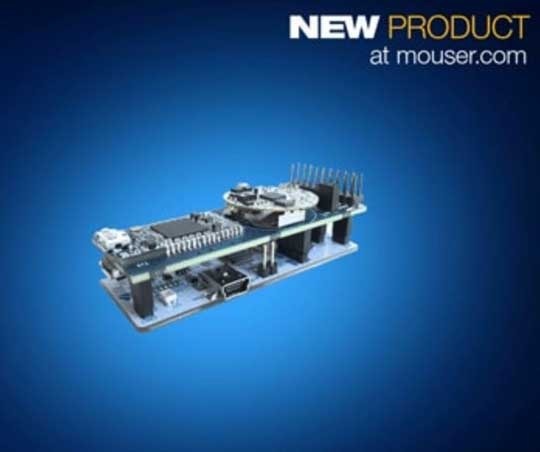 To learn more, visit www.mouser.com/stm-steval-bcn002v1b.